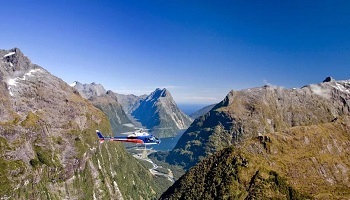 Depart Queenstown Airport for a private Milford Sound helicopter tour. Journey through New Zealand's most dramatic scenery. 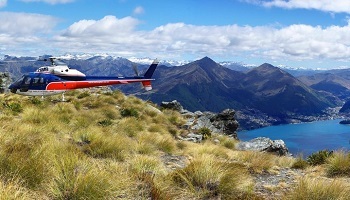 This captivating flight takes you over secluded alpine lakes, lush rainforest, and past rugged peaks. See the Southern Alps on your way into Milford Sound, experiencing this amazing glacial creation. View Lake Quill, the source of the Sutherland Falls - the second highest in the southern hemisphere. 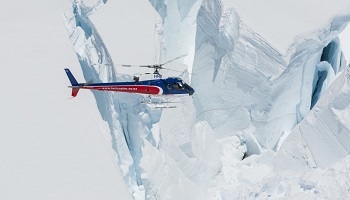 Weather permitting, land 'on top of the world' and stand among the ancient ice flows of the Fiordland Glaciers.